With 290 medical research centers and distinctive institutes, the University of California, Los Angeles is a powerhouse research university employing some of the leading life science researchers in the world. UCLA was ranked 12th in the world by the Academic Ranking of World Universities in 2013 for academic performance. What’s more, the U.S. News & World Report ranked UCLA’s David Geffen School of Medicine at #13 for Primary Care and #12 for Research compared with other schools in the United States. With this powerful reputation, the University of California, Los Angeles offers a promising marketplace for lab suppliers working to market their biotech solutions and increase lab sales. UCLA receives $1 billion in research funding per year. In August 2014 alone, UCLA received $108 million in research funding. Thus far in FY 2014-2015, UCLA’s basic biomedical sciences have received 22 awards totaling $4.8 million. $263.4 million has been awarded to UCLA thus far for FY 2014-2015. As of September, the National Institutes of Health has given UCLA $318.9 million in funding for 2014. The National Science Foundation awarded UCLA $69 million in 2013. Biotechnology Calendar, Inc. life science marketing events have been fine-tuned to appeal to university researchers and life science professionals over the past 20 years. This October will mark BCI’s 34th semiannual event at UCLA. Because there is such a longstanding tradition of attending Biotechnology Calendar, Inc. trade shows on campus, researchers have come to trust the BCI name and associate exhibitors with quality products, customer-friendly services and cutting-edge biotech solutions. When you exhibit at Biotechnology Calendar, Inc. life science marketing events, you meet a higher percentage of quality leads from within the trade show audience. 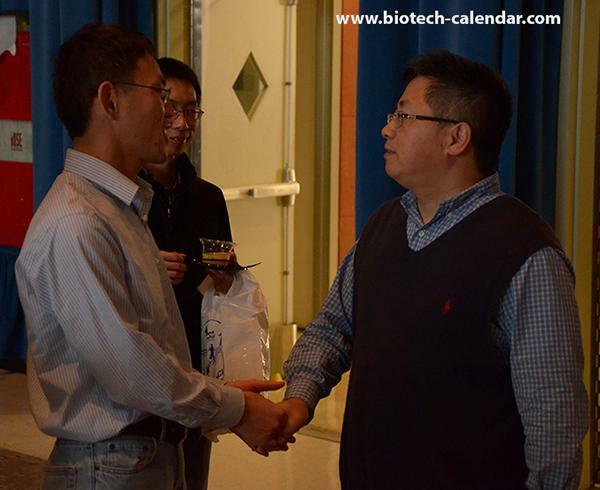 Last year, the Biotechnology Vendor Showcase™ Event at the University of California, Los Angeles attracted 626 attendees. Of these attendees, 231 (approximately 37%) were qualified leads such as purchasing agents, professors, post docs and lab managers. Of UCLA’s research facilities and departments, 41 different research buildings and 81 on-campus departments were represented at this event. If you would like to market your biotech solutions and increase lab sales among the well-funded life science researchers at UCLA, Biotechnology Calendar, Inc. invites you to exhibit at the Biotechnology Vendor Showcase™ Event at the University of California, Los Angeles on October 9th, 2014. To learn more about life science marketing events in other regions of the United States, see the 2014 calendar of events and 2015 calendar of events. Click on the button below for comprehensive funding statistics and vendor show information for the University of California, Los Angeles.